Princess Aurora Bravo-Calabretti is wishing for a mountain man this Christmas! But her most unroyal crush--rancher Walker McKellan--insists that they remain "just friends." Now he's her round-the-clock bodyguard while she is the maid of honor at her cousin's holiday wedding. Rory can't resist this Colorado cowboy...but she wishes she was walking down the aisle to meet Walker at the altar! Both the best man to the groom and Rory's bodyguard, Walker can't shake his charge. As he begins to see Rory in a different light, a surprise snowstorm strands him with his princess...and sparks ignite into a holiday love affair! 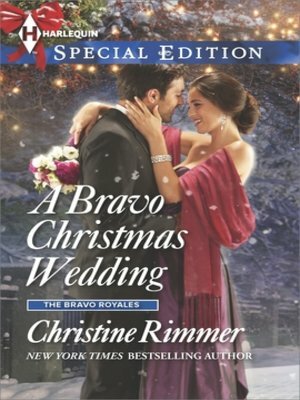 Can their Christmas passion blossom into a very Bravo happily-ever-after?